PUBG, Fortnite, Blackout and H1Z1, if these words make any sense to you; then my friend you’re a gamer. Since the introduction of H1Z1, there has been a constant rise of Gamers switching to Battle Royale games over the conventional competitive FPS games/MOBA games or even sports games as for that matter. Thanks to Fortnite and PUBG, that fact has been sort of a nail in the coffin for many titles such as CSGO, DOTA2 and many more (Not entirely, but the player base has shifted). So, recently Treyarch received a huge positive response from the community on Blackout’s Beta launch. 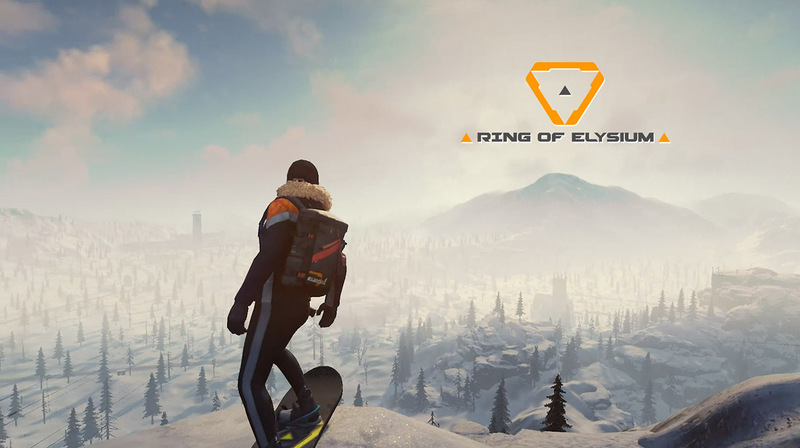 To add to this list of Battle Royale games, a newer title “Ring Of Elysium” has entered the arena and it looks very promising folks. It’;s an online PvP online multiplayer shooter game developed by none other than Tencent Games and was released on 19th Sept 2018. The game is currently in early access and is free to play, and unlike other games, this one features only Battle Royale with Solo, Duos and Squad modes. There are so many in which this game sets itself apart from the other games in this genre which could also be called as features of this game. You and 59 others are basically a tourist stranded on Snow Mountain which has witnessed the worst cold wave there is. The sheriff of the town has evacuated as many tourists as possible and the remaining tourists are of course the players who fight to the end to get on the last rescue flight to be called the winner. The game is set in Snow rather than a conventional desert or a huge island. The players don’t parachute down to the island from a Plane or a Party Bus. The player can choose where to spawn on the map according to their choice in the initial loading screen. Players also get to choose the type of equipment they’d like to spawn with, which includes 3 types of Kits. The kits being, a Glider with a Pistol and other equipment, a Snowboard along with a pistol and other equipment and lastly a Rock Climbing gear along with a shotgun and other equipment. There are many types of vehicles in the game as well which include Jeeps, Snowmobiles and many more which make the game more enjoyable. The game currently has only Asian and NA servers which means you could be playing against bots or experience lag while gaming. If you didn’t get an exact picture of what I’m trying to convey here, then let the following trailer do the talking. Well, the game looks great and as good as it looks, it has it’s own bugs. Some of them were sound bugs which gave wrong sound cues when the vehicles make noise, while in some cases the spray pattern didn’t seem fine tuned yet and also the controls when using Snowboard or the glider or even the vehicles wasn’t that smooth either. So to sum it all up, the game has great features, it’s completely different and I’m sure it’ll manage to grab a huge playerbase but as any other game, it has its bugs which will be fixed over time. We had fun playing the game, unfortunately, our recorder couldn’t pick the game for some reason 🙁 Anyway, try it out here and see you guys in the next one!! I personally liked this game. It was quite a refreshing experience even though there were few bugs in the initial stages.